The end of the year is good for a review of 2016 but also for a preview of 2017. What are the plans of François Schuiten and Benoît Peeters for the new year? The exhibitions Machines à dessiner, Dialogues - Schuiten / Durieux and Single Images will all end early in 2017. The Bretagne Express will continue until August 27, 2017 in the Musée de Bretagne. And Benoît Peeters will have in 2017 5 more talks in Musée des Arts et Métiers for the series La révolution des images (1830-1914). Maison Autrique will be reopened in January 2017. On January 27,2017 the building of the Archives départementales will be inaugurated. Schuiten and Peeters will be present at 4 pm to perform « Rêves d’archives » with Bruno Letort. At February 9, 2017 François Schuiten will be in Arts et Metiers to talk about his work at the Scan Pyramids project. François Schuiten and Etienne Robial are preparing an exhibition “Métal Hurlant (A Suivre)” for the musée de La Boverie in Liege (Belgium), in collaboration with le Fond Hélène & Edouard Leclerc, starting in March 2017. On March 25, 2017, Schuiten, Peeters and Letort will présent « Revoir Paris » in Montpellier. German publisher Schreiber & Leser expects to release a new German translation of L’enfant penchée in May 2017: Das Schräge Mädchen. In the summer of 2017 an exhibition about Winsor McCay will start in Cherbourg/Octeville (France). Francois Schuiten and Benoit Peeters are the curators of this event. 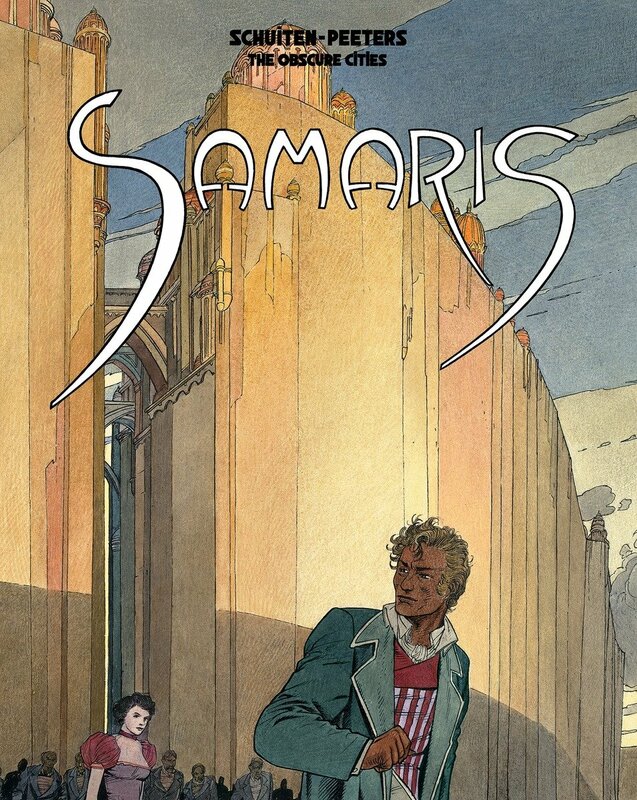 The next English publication will be a special 30th anniversary edition of Samaris, collecting the original The Great Walls of Samaris book, first published in English in 1987, plus several never-before-published-in-English stories from the early days of the series. The Samaris story is completely retranslated by Ivanka Hahnenberger, Steve Smith and Benoît Peeters, ensuring the most accurate interpretation. The publication by IDW is projected for June 2017. Casterman's plans are still not decided. But there will be a book in autumn 2017 that will probably not be a new story. This blog post was created on 2016-12-28 at 10:39 and last modified on 2018-02-18 at 10:42 by Joseph Le Perdriel.